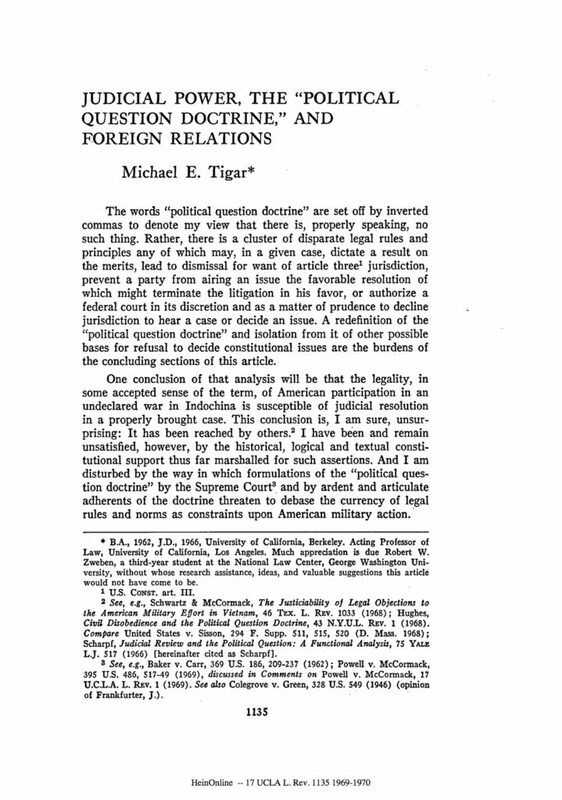 Justice William J. Brennan Jr.
Michael Tigar was actively opposed to the Vietnam War. 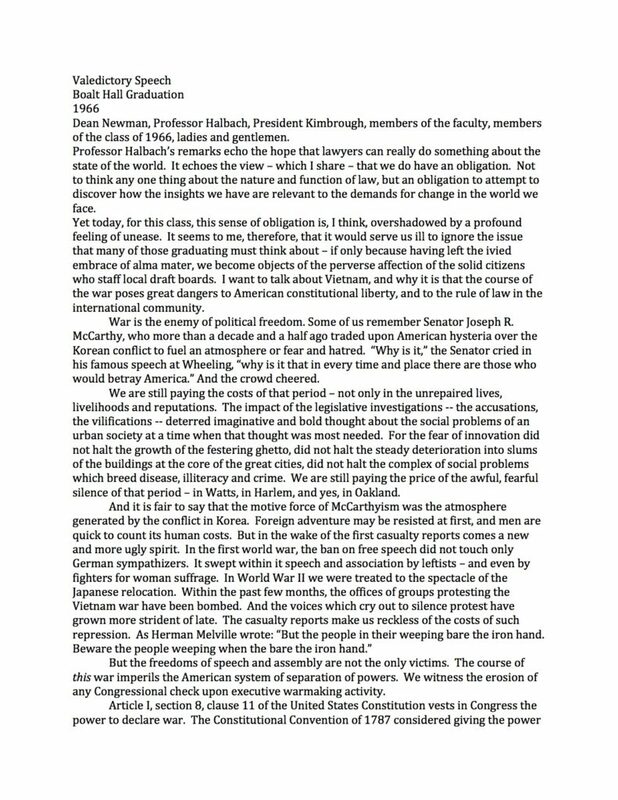 At his law school graduation in 1966, he gave an especially critical Valedictory Speech that argued that US involvement in the war violated international law. 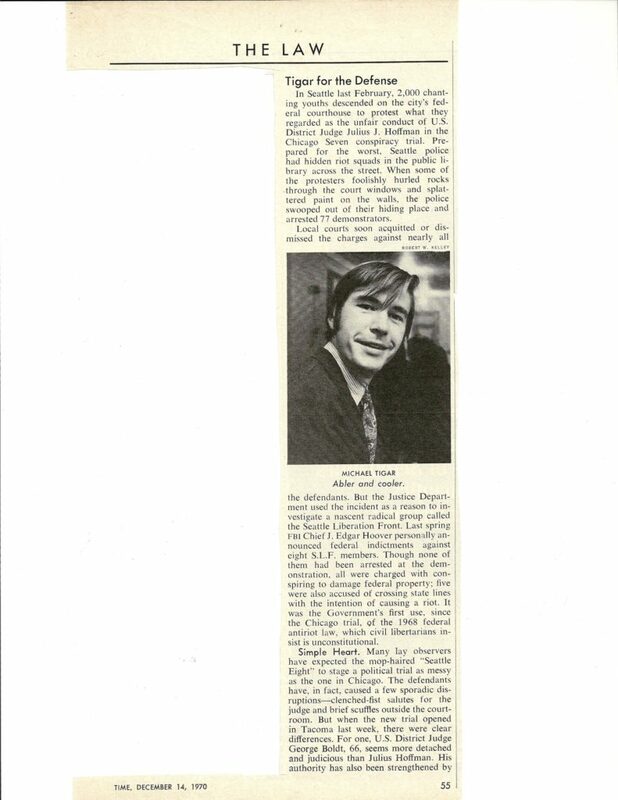 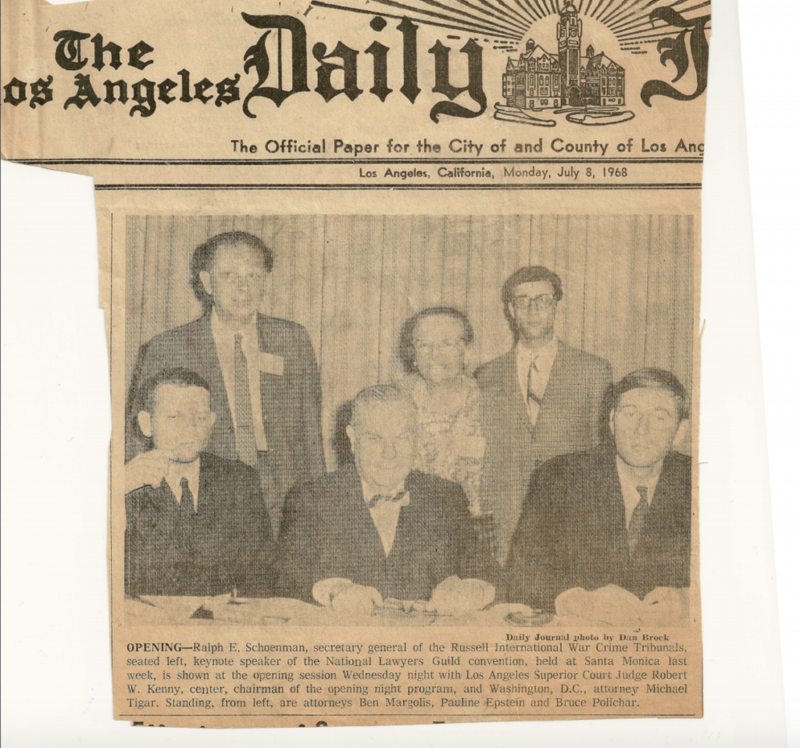 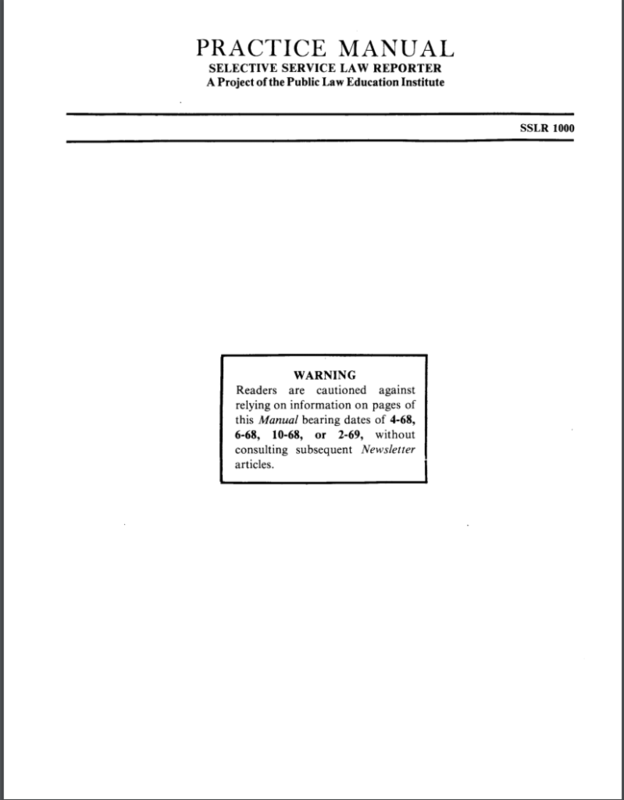 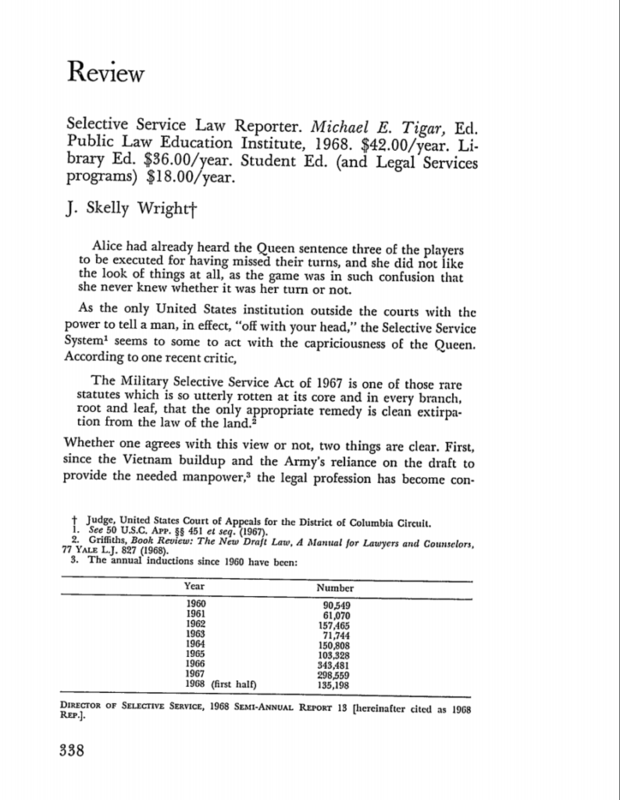 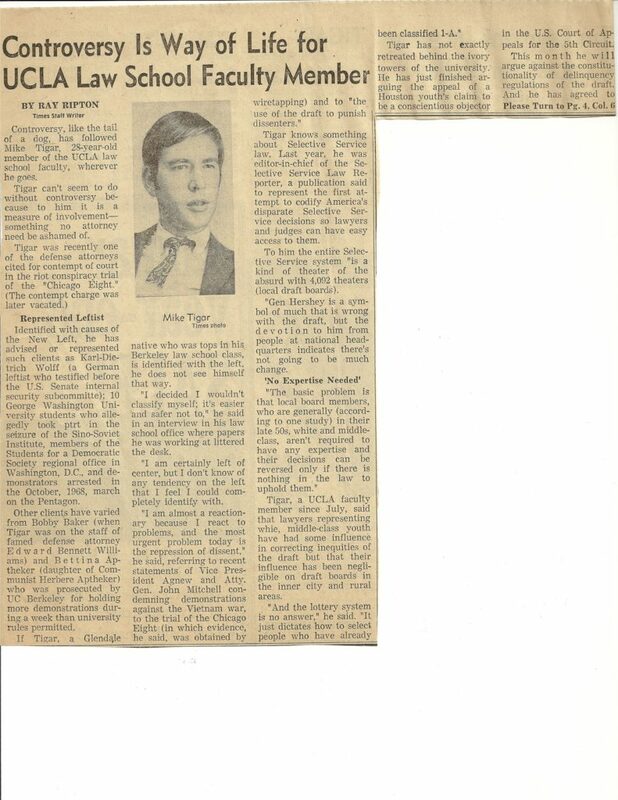 In 1967, Tigar co-founded the Selective Service Law Reporter (SSLR), which began publishing in 1968. 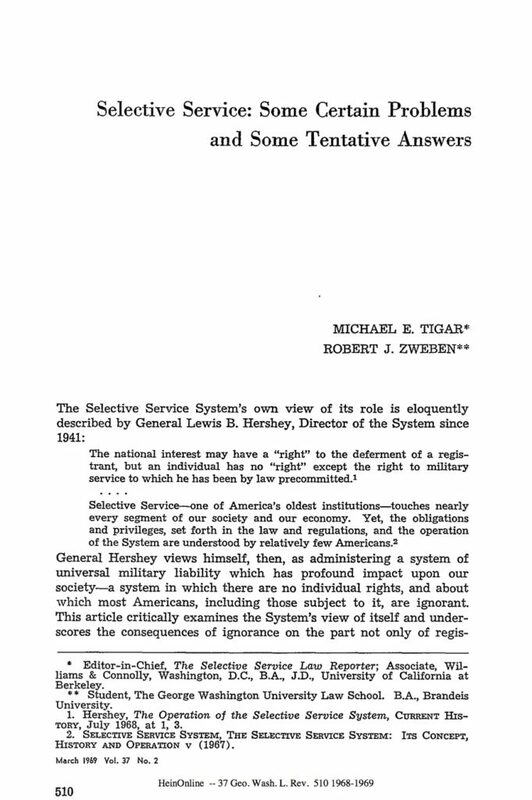 Meant as a resource for lawyers and draft counselors, the SSLR consisted of statutes and regulatory material related to the Military Selective Service Act, decided cases under the Act, as well as a three-part practice manual. 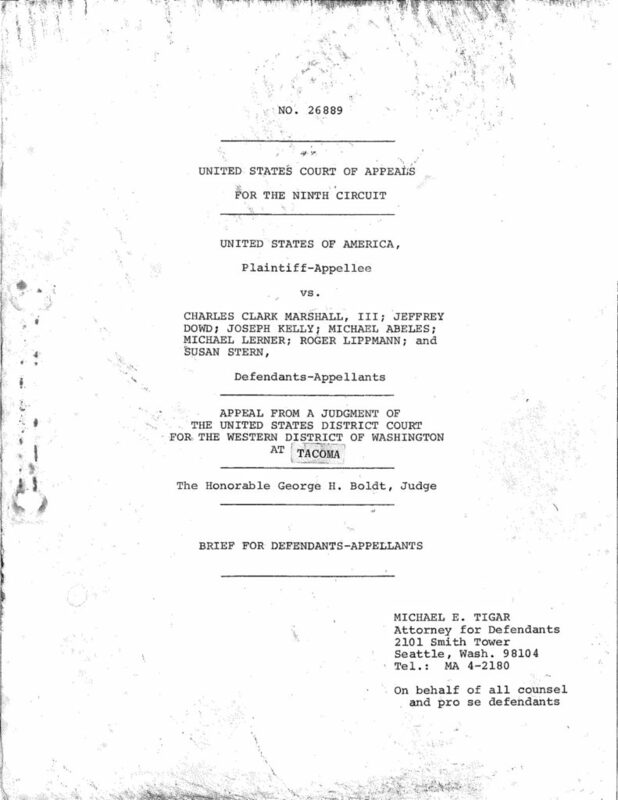 Tigar served as editor-in-chief and also wrote the criminal defense part of the manual. 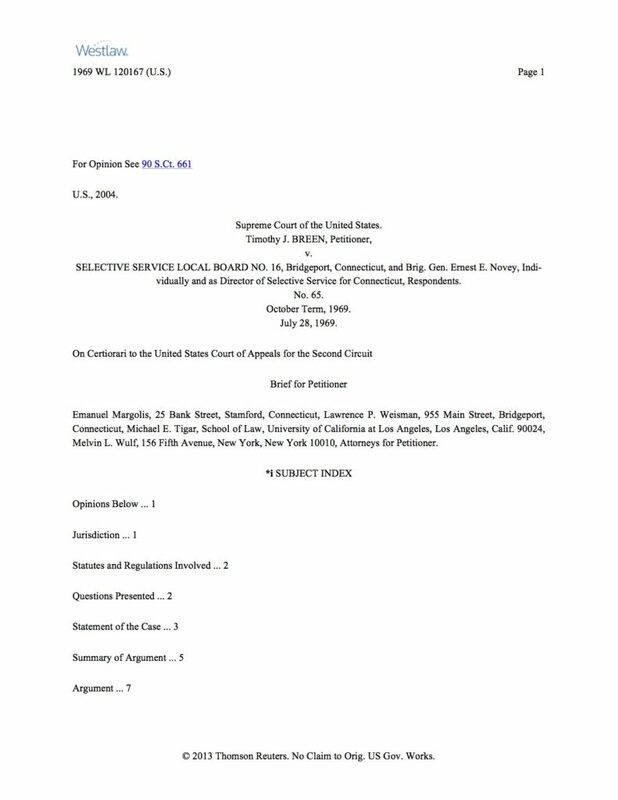 The publication was also used by at least one federal judge, as Judge Skelly Wright of the US Court of Appeals for the DC Circuit wrote in his 1968 book review of the SSLR in the Yale Law Journal. 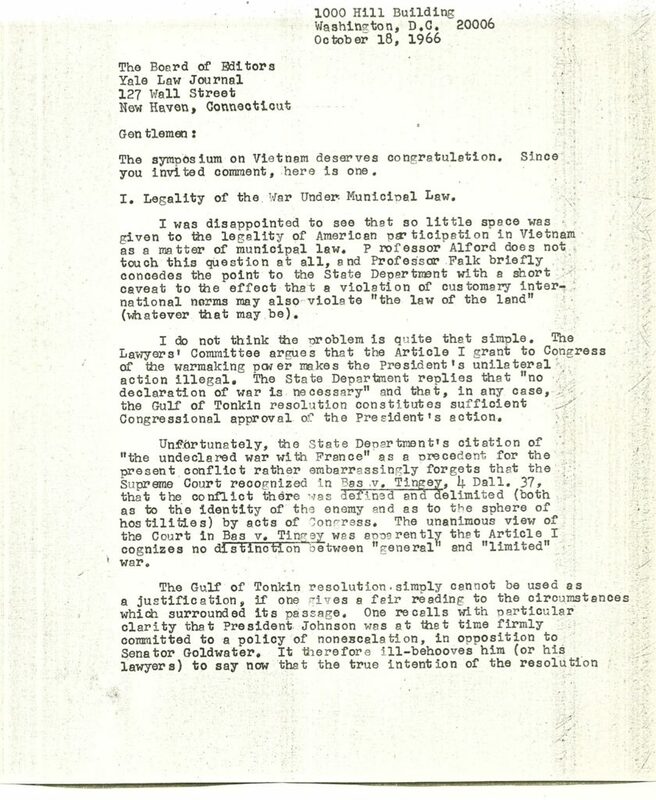 This section primarily includes materials about Tigar’s representation of those who were prosecuted under the Selective Service Act, as well as those who were criminally charged as a result of activities in opposition to the war. 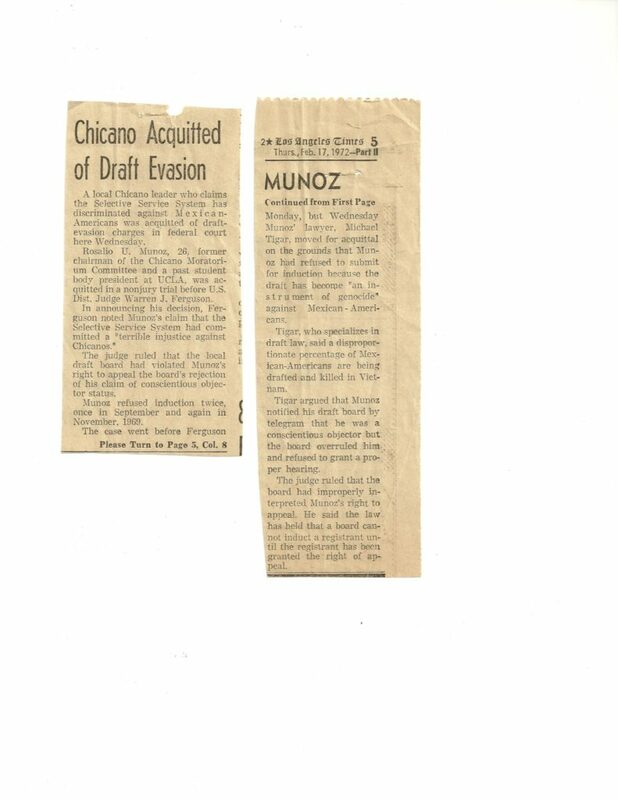 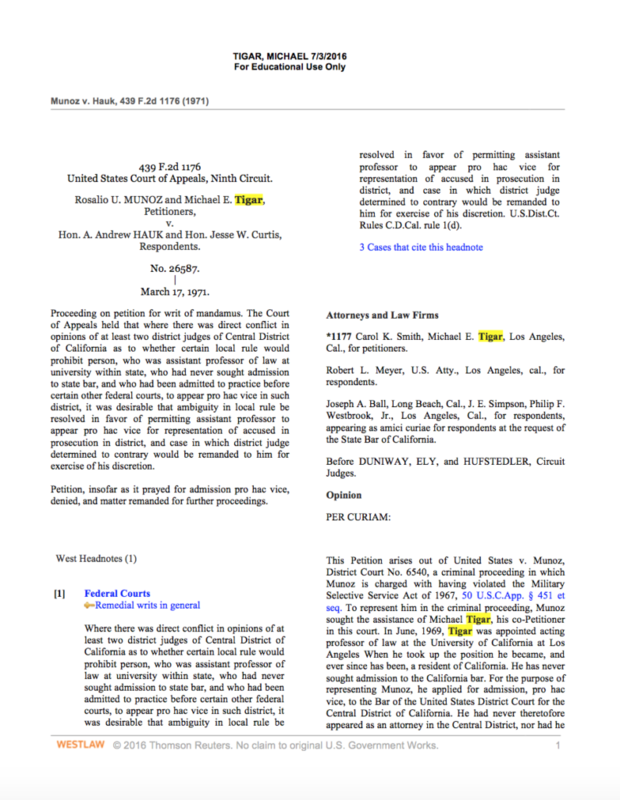 Thus, there are articles and briefs related to his defenses of Timothy Breen, David Gutknecht, Rosalio Muñoz, and the the Seattle Seven. 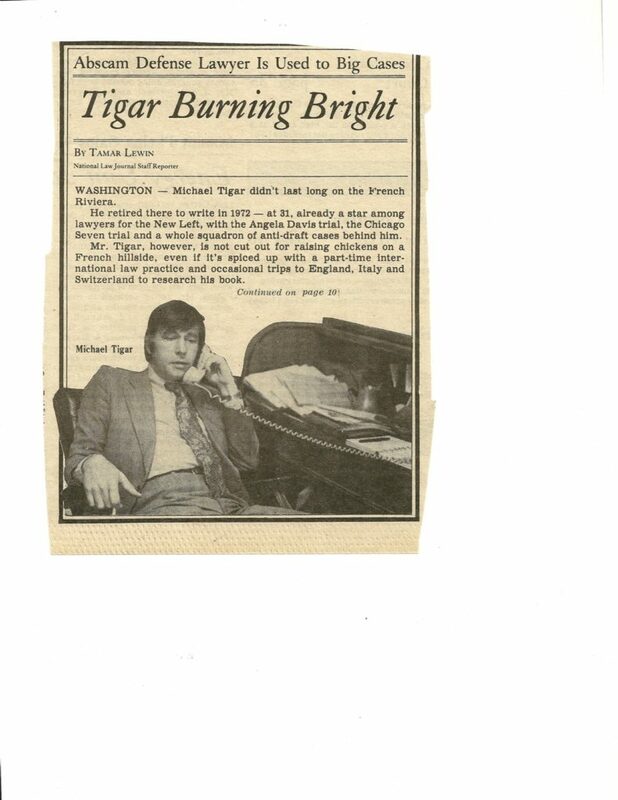 Also included is an excerpt from the oral history with Tigar in which he identified the anti-war movement as “in some great measure, a privileged white kid’s movement.” He explained that the anti-war movement’s focus on the rights of dissenters in the US failed to fully address the implications of imperialism and oppression of people of color around the world. 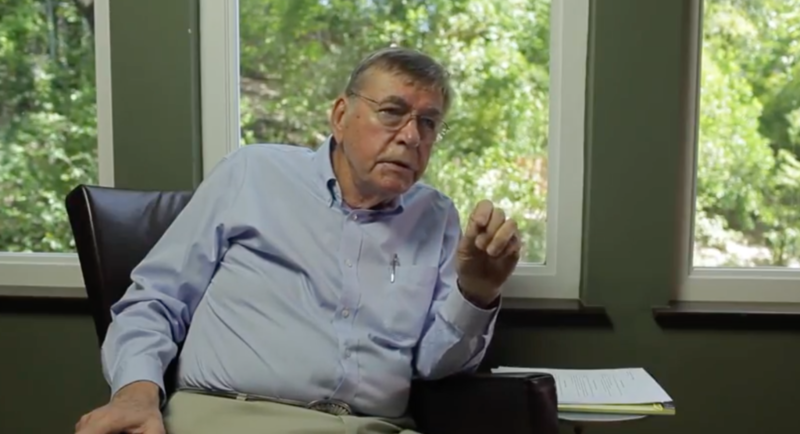 That perspective can be found in some of the materials under Executive Power Overreach, which includes connections to America’s more recent involvement in the Middle East. 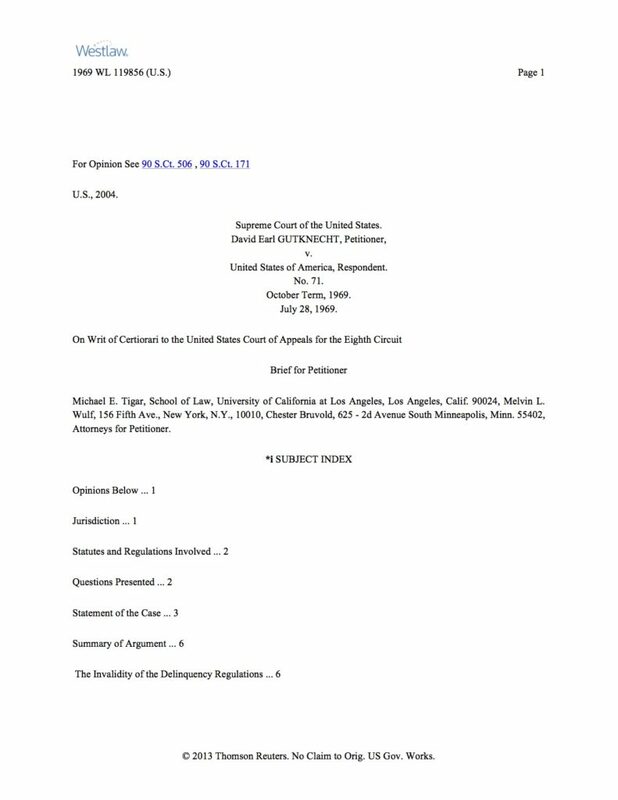 Some of the materials in this section overlap with those found under Free Speech and Association as well.